I still remember the time my oldest explained Pokemon to me so many years ago. We had the cards, the games, we watched the cartoons, it was big at our house. There was a poster on his wall, and he very patiently showed me the best ones and explained the concept of enslaving small woodland creatures, storing them in small spheres and forcing them to fight for his pleasure. I think the whole thing wouldn't have sounded quite so inhumane if I had known what was inside the Pokeballs. 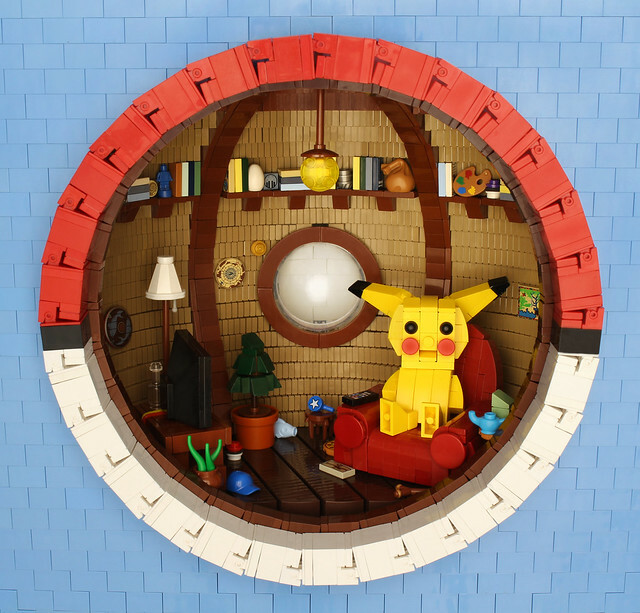 If it's like the concept by Grant Davis here, they seem well appointed and Pikachu seems pretty content.